We Work With You. From Start To Finish. From our humble beginnings over 25 years ago, BIK Hydraulics was started to service hydraulic equipment locally. A simple business philosophy was adopted. “Give great service at an affordable price.” With this philosophy as a back bone, business quickly grew. BIK Hydraulics became a paramount player in the service of truck mounted booms. Soon our customers wanted more. The trust that had been built lead to BIK Hydraulics expanding into the sales of pre-owned equipment. This lead to BIK Hydraulics expanding into new boom and truck mounted forklift sales. Over the years BIK Hydraulics has grown along with our customers to now specialize in large truck mounted cranes, Crawlers and RT’s. With a sales staff boasting over 60 years of industry experience, a facility of factory trained technicians, combined with state of the art engineering capabilities, you can expect world class sales expertise and support when choosing BIK Hydraulics to supply your company with equipment. This is just the beginning of our support and commitment to you. 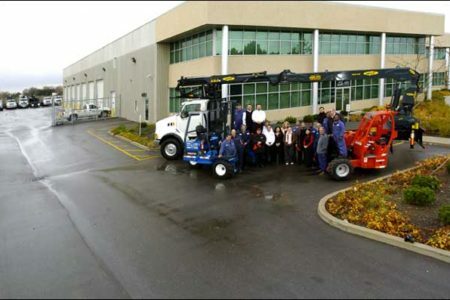 Once you take delivery of your new boom truck or truck mounted forklift, you will enjoy the full support of the North American Network of BIK Hydraulics approved service facilities ready to take care of any of your service needs. Whether your company is located in Toronto or Alaska, BIK Hydraulics ensures your company the highest level of quality parts and service support. BIK Hydraulics’ greatest asset is our customer. Repeat business and referrals continue to be our biggest sales every year. This speaks volumes to the high level of customer satisfaction BIK Hydraulics achieves. Join the large number of companies making BIK Hydraulics their choice for all of their truck mounted boom and forklift needs. Our 14 bay service facility is centrally located with easy access to all major highways in the GTA. 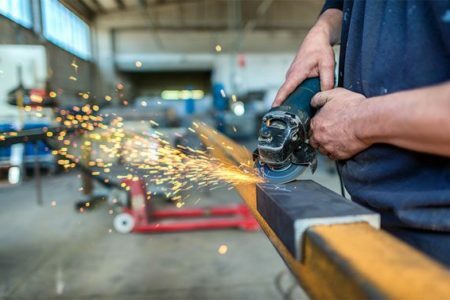 Outfitted with the best tools, equipment and factory trained service technicians , (along with our service first philosophy) be assured that when you need an emergency repair or a regularly scheduled service visit, we are ready to serve you. However, BIK’s commitment to service and support ranger far beyond our three in house facilities. BIK contracts to over 70 service associates across USA and over 40 service associates across Canada who can take care of your maintenance, service, and warranty repair needs. At BIK Hydraulics we understand downtime can cost your company a great deal of money. Our commitment is to get your equipment up and running by whatever means necessary. If you navigate to our main menu and click the link labeled “Service Centers”, this will take you to our expanded list of BIK service center affiliates spanning North America. Just one more reason you should make BIK Hydraulics your one stop shop source for all of your boom truck needs. Once you’ve gotten a BIK sales representative on the phone, you have just accessed 60 years & over 2,000 builds of boom truck experience. We don’t pour foundations, set precast or hoist drywall…but our customers do. We’ve been on their sites and have successfully designed their unloading solutions for 30 years. We will ask you the necessary questions and listen to your answers. Once we have identified exactly what your company’s needs are, our highly trained sales staff will then put together a truck package to present to you and your team. Once our customer is satisfied with our recommendation, we will move the process along to the second stage. 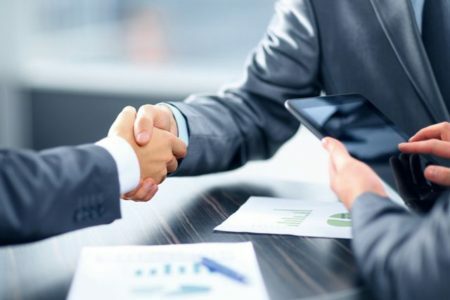 Now that you’re happy with our product selection and have signed our proposal, it’s time to get your financing approved. Not only have we built the finest boom trucks over the past 30 years, we’ve also built relationships with some of the best finance companies our industry has to offer. Like us, their focus is boom trucks and that means they understand your goals and work hard to meet your financial needs. You’ve signed the proposal and your financing is secure, now it’s time for the good stuff. Time for you to work with our design team to build you the perfect boom truck. And after more than 2,000 trucks assembled, we’ve taken this part in our process from assembly…to an engineered art. We custom build every truck to meet your specific needs. Over time we have developed a few trade secrets to help maximize your trucks output to maximize your profits as well as minimize any drawbacks in design that could minimize your efforts. Our ultimate aim is to provide you the best unloading solution for your company’s needs. Your custom designed and built truck is now ready. Production can usually take between 4 to 9 weeks depending the particular platform design chosen within your proposal. We stock over 100 booms and up to 50 chassis at any given time within our facility. If you are local to one of our locations we prefer to have our customers take delivery at our facility. Our factory trained staff will familiarize your employees with the operations of your new boom truck to ensure the best use and maintenance of your new loader crane. However, if you are not local, one of our professional drivers will deliver the truck directly to your location. If you desire to be familiarized with your new boom truck, we will be more than happy to walk you through the operations. This can be done over the phone with a highly trained professional or in person with one of our factory trainers. We can help you choose the perfect loader crane for your company needs.